Caption slip reads: "Photographer: Glickman. Date: 1952-08-04. 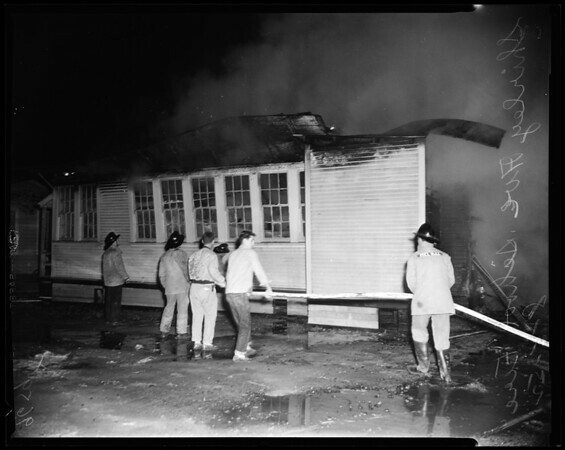 Assignment: Fire, Shirley Avenue School, Reseda. Fire at school bungalows that destroyed 3 and damaged 2 others".